The term ‘wayfinding’ has come a long way since Kevin Lynch first used it in an architectural context in his 1960 book, The Image of the City, where he defined it as the consistent organization of sensory clues in the external environment. In 1984, Romedi Passini’s book, Wayfinding in Architecture, expanded upon this definition to encompass visual graphics, tactile surfaces and audible communications. Wayfinding through the use of signs has grown dramatically as a field over the past 30 years or so, as part of the profession of environmental graphic design (EGD). There is now considerable wayfinding expertise available when planning airports, hospitals, office buildings and college campuses, among other facilities, validated by educational programs, seminars and books. Retail wayfinding, however, has defied being channelled into a specific discipline. Rather, wayfinding has been treated as a component of multiple retail-related disciplines, such as visual merchandising, customer experience design, digital signage and mobile engagement, which are all well-entrenched with their own publications, academic studies and professional associations. To understand best practices for wayfinding signs in retail, it is important to understand how each of these disciplines relates to wayfinding. Profitable retailers tend to (a) be meticulous about gathering data and (b) constantly experiment with new approaches to attract customers. Given the complex interplay between merchandising, distribution and promotion, the best-managed retailers have a firm hand on both traditional processes and new innovations. Retail wayfinding begins with the development of a strategy for managing a customer’s in-store experience. In his books Why We Buy (2000) and Call of the Mall (2005), Paco Underhill argued shopping is a cognitive science and sales can be improved by successfully manipulating the physical environment through the planning of stores, placement of displays and use of signs. David Kepron’s 2014 book, Retail (r)Evolution, expanded on the notion of measuring the customer experience by analyzing retail stores as social environments, where the customer seeks entertainment in addition to products. 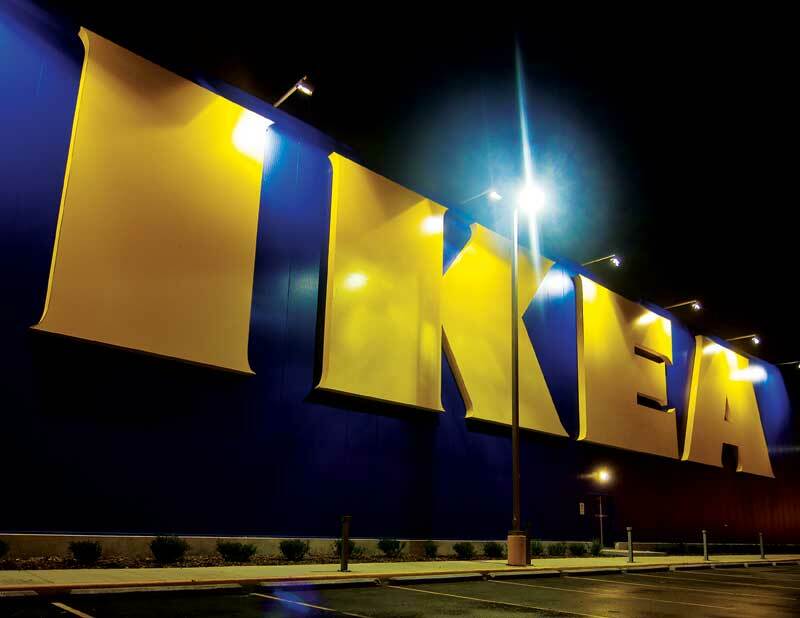 Ikea adopted typography from transportation facilities and applied it to a retail environment. Store planning is deeply rooted in tradition. Supermarkets and departments stores, for example, have used similar planning formulas for decades. Signs, too, have closely conformed to practices honed over many years of experience. The ‘racetrack’ and ‘grid’ plans developed by retailers in the 1950s—and the sign practices used to support them—are still in use today, with small modifications. Some companies have grown famous for breaking traditional store layout models and redefining the role of signs to support them, but tradition and experience still play important roles in how people shop. 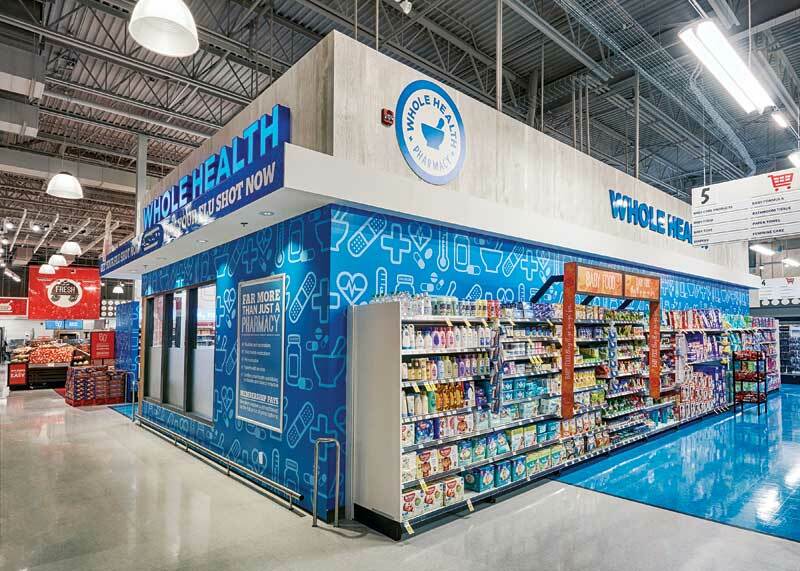 One area where the use of signs has grown, even in traditional plans, has been the installation of brand-specific product displays as visual cues in key areas of the store to attract attention. Early in its history, Ikea broke away from store planning traditions with a format that combined practices from showrooms, supermarkets and warehouses. Its signs were also revolutionary, adopting graphic approaches and typography from transportation facilities like airports and train stations and applying them to a retail environment. Another major retail innovation has been the use of a hierarchy of signs and displays to visually break a store into components, from large departments to specific product brands. While this trend started in smaller convenience stores and pharmacies, it is now becoming a key strategy in larger apparel and houseware stores. 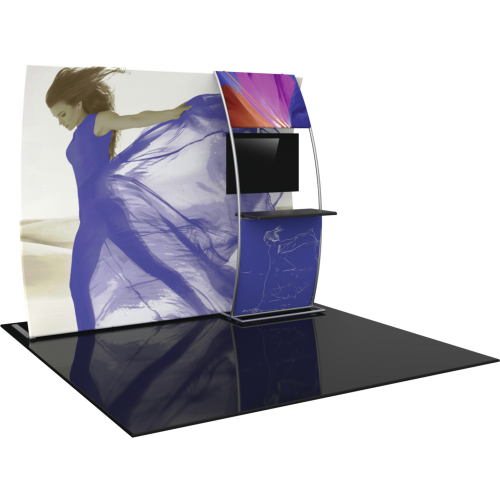 A final trend has been the ‘store-in-a-store’ strategy, whereby a major product brand is represented with a pavilion or entire section of a shop, with its own branding, fixtures and displays. Already popular in department stores for some time, this trend has expanded to other retail spaces.